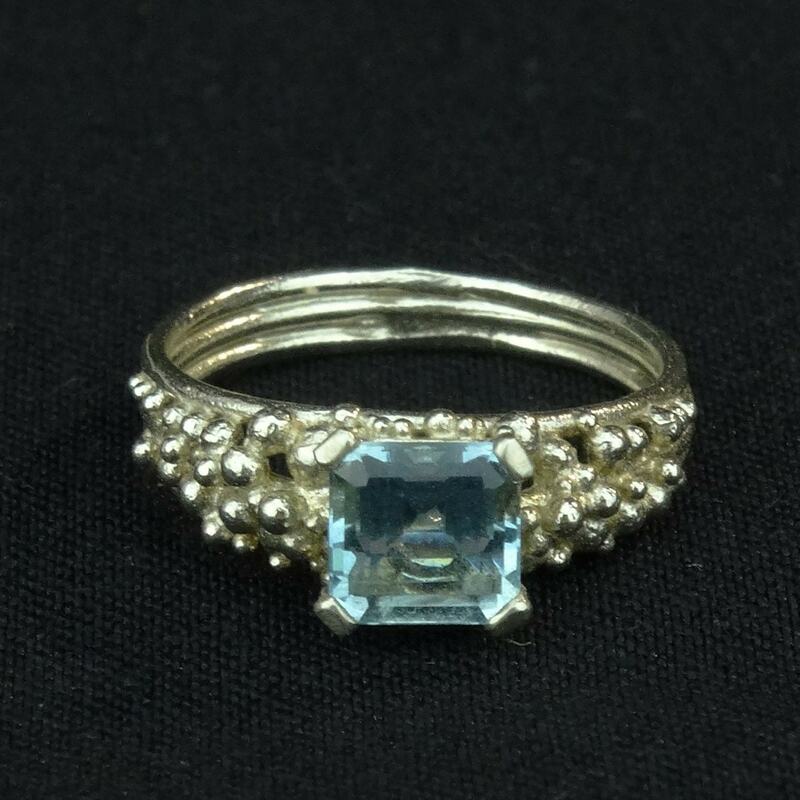 9ct white gold scattered cluster ring with with princess cut aquamarine. Handmade by London based jeweller Hannah Bedford. 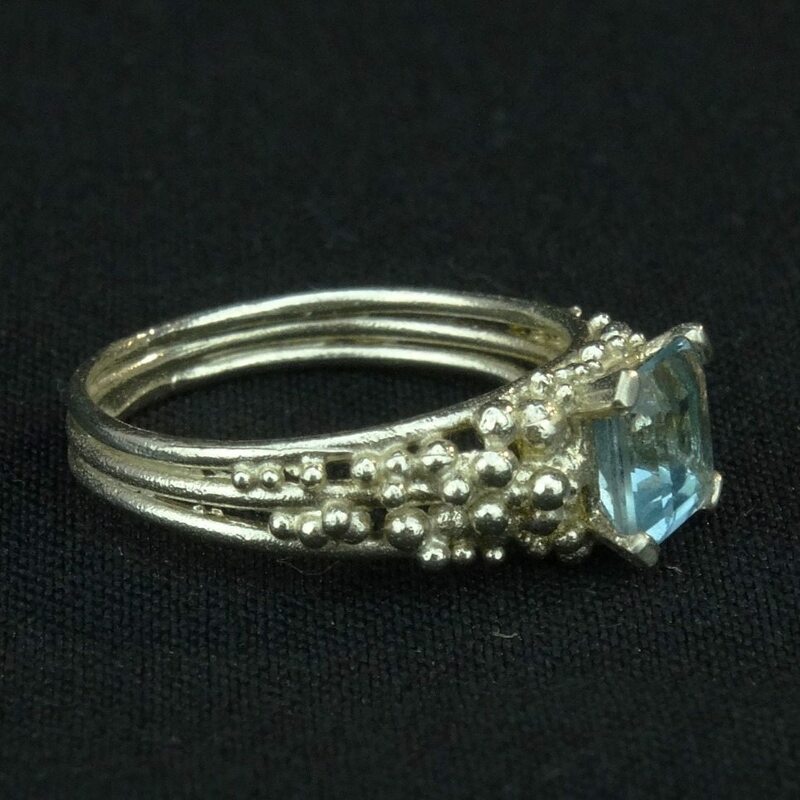 This ring can be ordered in any size, please contact the gallery for details.